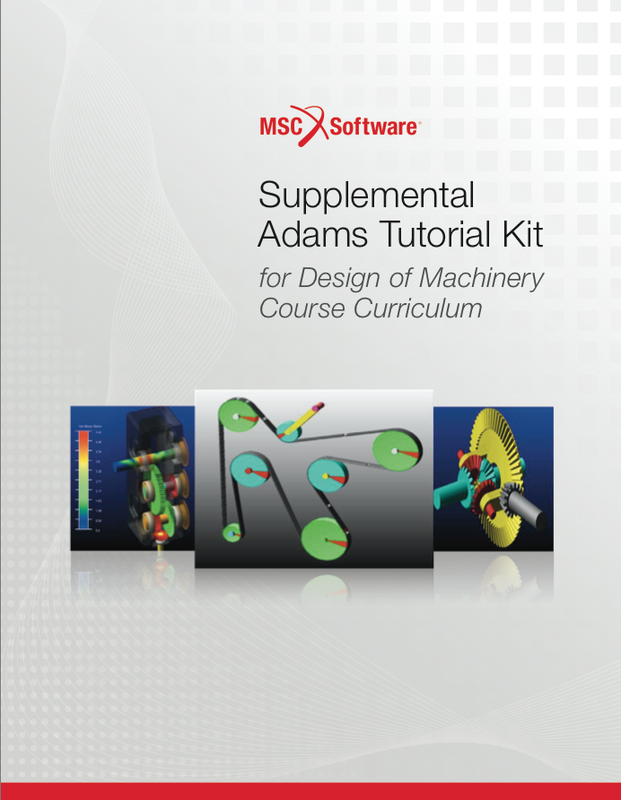 This Adams tutorial package is designed as a supplemental curriculum kit for undergraduate Mechanical Engineering courses, including Design of Machinery, Dynamics, Mechanisms, and Mechanical Design. 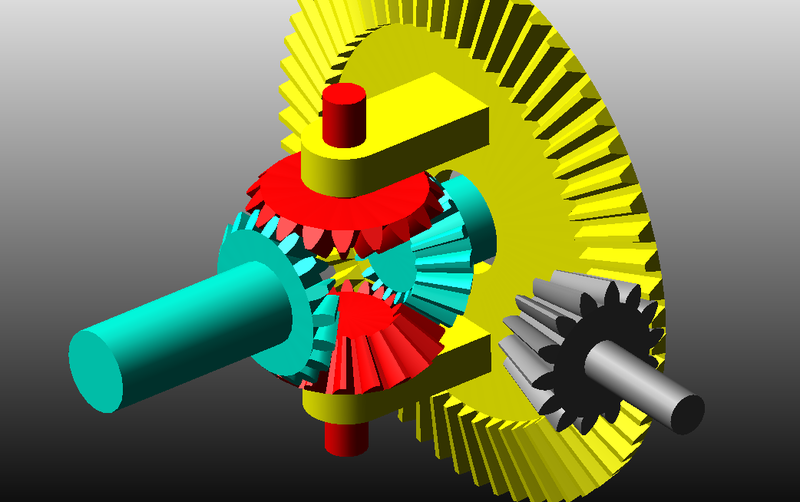 There are 44 examples in this Adams tutorial package, including some simple problems like “four-bar linkage”, “spring-damper system”, and also some real industrial examples like “Open differential” or “Gear Train System”, which are created based on a new powerful set of simulation modules in Adams called Adams/Machinery. 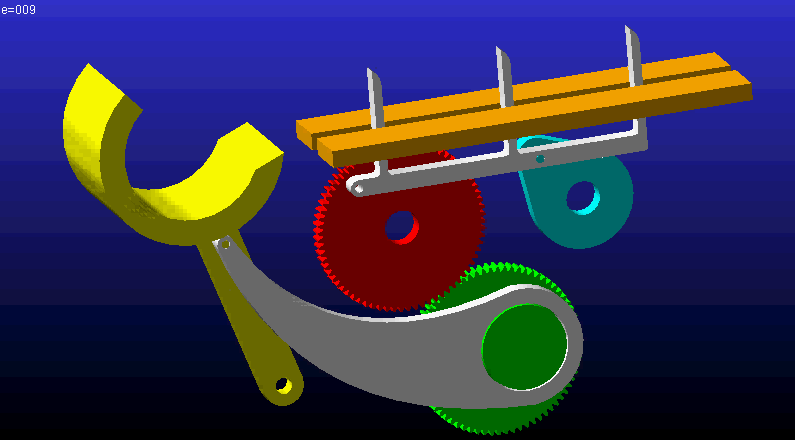 Several examples were developed from specific textbook problems, for example, the four problems in section III were developed in reference to the textbook Design of Machinery (Fifth Edition) by Robert L. Norton. 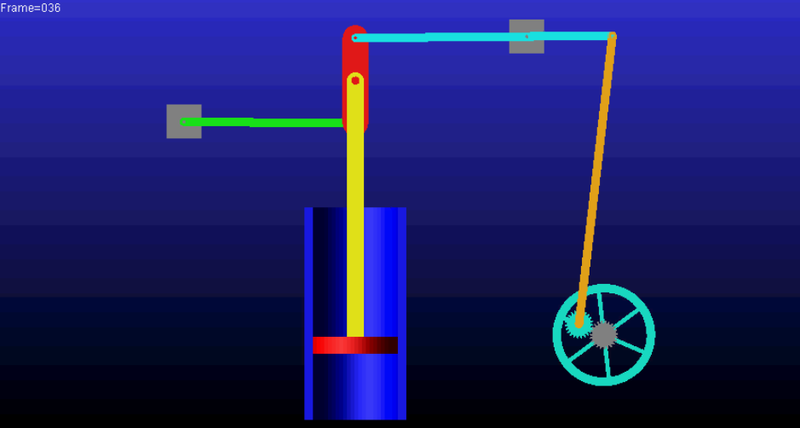 Design of Machinery has proven to be a favorite of both students and educators across the globe. It is currently used in over 100 schools in the U.S. and Canada and in many more worldwide in both English and several other languages. The book is praised for its friendly writing style, clear exposition of difficult topics, attractive appearance, thorough and relevant coverage, its emphasis on synthesis and design, and its useful computer programs. 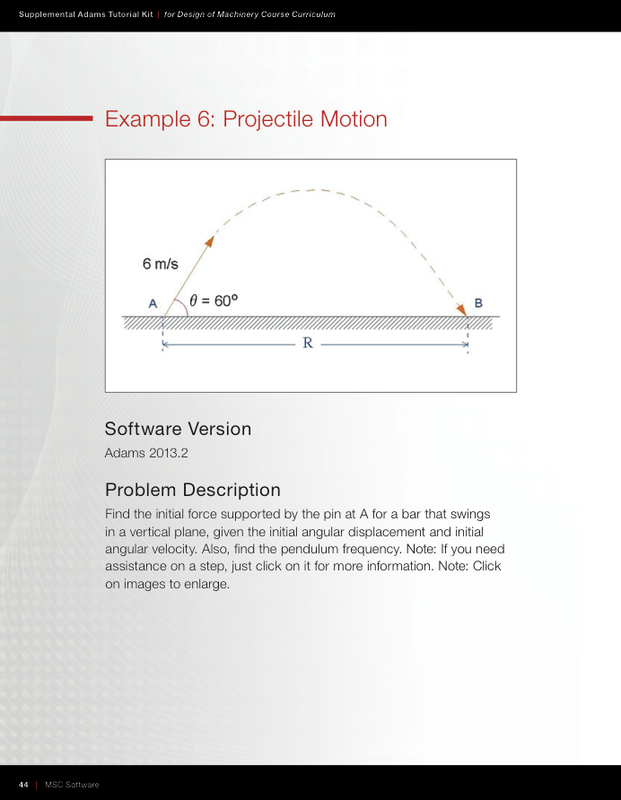 We are asking you to use this Adams tutorial package as supplemental learning material for your courses in your mechanical engineering program today, as a way to further develop the skills of your students in engineering simulation, and to prepare them for engineering careers in the future. 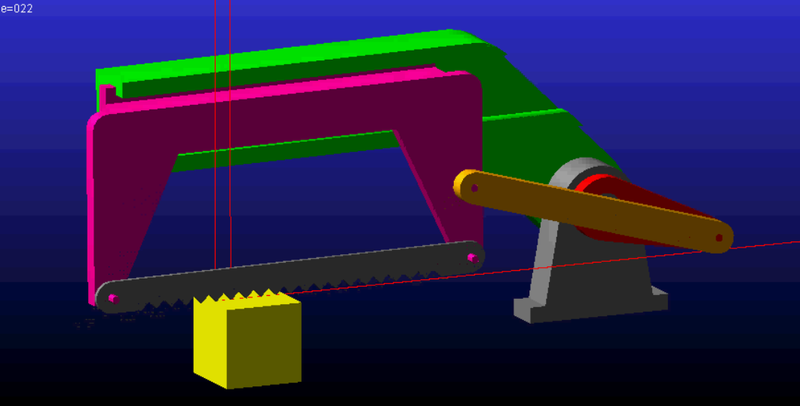 During the month of May 2014 I was teaching courses related to Modeling of Multibody Dynamic Systems with MSC ADAMS as a visiting professor. 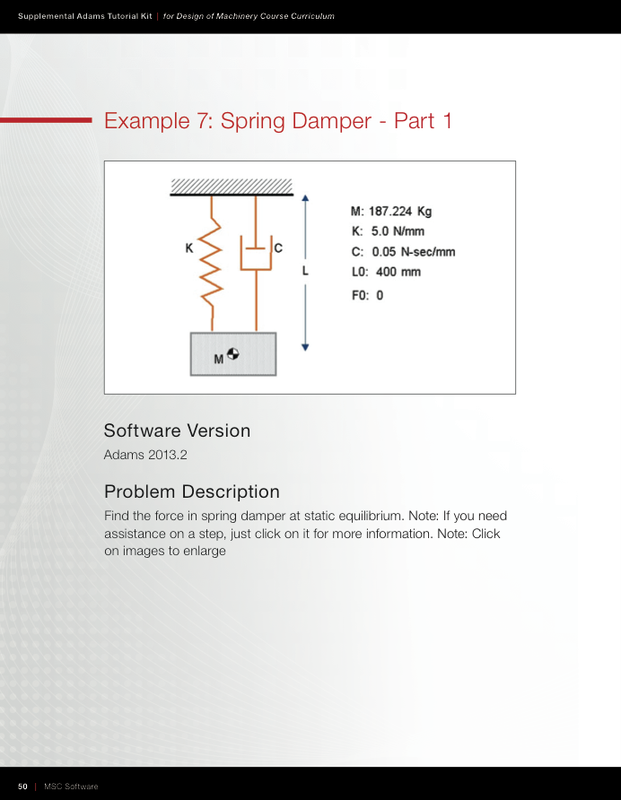 I found the ADAMS tutorial kit that was developed for student users very useful in the classroom. After introduction to particular course topics from my side students could focus on solving selected examples implementing step by step instructions from the tutorial. 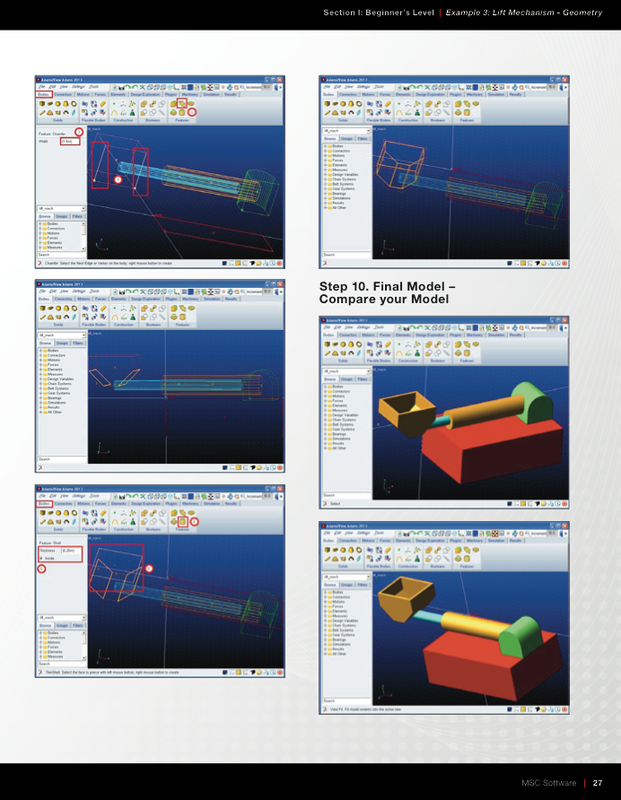 With the even more comprehensive selection of examples in the newest edition of the tutorial, I'm sure it will become an excellent ADAMS teaching tool available for both students and professors. ..Every student who tried, loved the exercises..